Recent years have seen an explosion in the number of artists producing and mixing their own work. It's now easier than ever to make your own music with inexpensive interfaces, DAWs and plugins. But it can also be a bit overwhelming. Using presets might give you a reasonable starting point, but how do you know where to go from there? Why is it that you can spend weeks or months fiddling with your mix and just can't get it sounding quite right? Sound familiar? What's missing is experience. 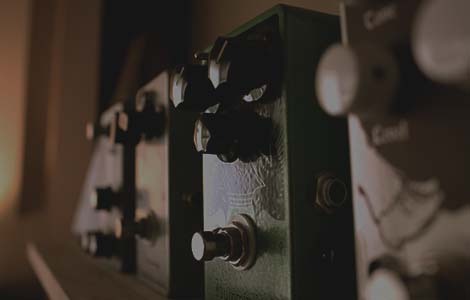 The best gear and plugins in the world can do more to harm your sound than help it if you're not sure what you're doing. And after you've heard your song hundreds of times over, it's hard to be objective and easy to get bored. Sometimes just a fresh pair of ears can make a huge difference. The Streetlight Farm is now offering mixing services from a well-stocked studio, secluded in the California countryside. Send me your tracks and I'll work my creative magic to give you a great mix. Simple. I'll provide a location for you to upload your tracks. I usually work in Logic Pro; if you do too, send me the project. If not, just send the individual audio files. If you already have a good idea of where the song is going you can send me a rough mix. Alternatively, you can tell me a particular artist you're aiming to sound like, or you can just let me figure it out. I charge by the song, and you don't pay anything until you're happy. If you want a whole album done, we'll work out a deal. You'll probably be surprised at how inexpensively we can make this work and how great I can make you sound. Miles Fender is a miracle worker. Fast, friendly and massively talented, you'll get your money's worth, a quick turn around, and phenomenal results! Mixes sound way better - much more warmth and weight and balance about them. Oh. My. Word. Okay, I want the rest of the album to sound like that now! I LOVE it. Wow - I am rendered bereft of speech. Mixing is my main focus. I use a hybrid approach (mixing with both plugins and hardware), routing through an API The Box console and out to tape or back into the DAW. I have mixed pretty much every genre of music in my career: rock, pop, indie, electronic, ambient, new age, classical, metal, dubstep, country, hip-hop, and others that don't even have names. I have a beautiful MCI JH110 4-track 1/2" tape deck, lovingly restored by Mara Machines. The best plugins in the world still cannot adequately emulate the sound of real tape, which gives a smooth natural compression and gentle rolling off of those harsh digital highs. Even if I'm not mixing your song, I simply can print your existing mix to tape and send it back to you. I have two different custom alignments that provide subtly different frequency responses, and you can choose which you like best. If you need additional instrumentation or fresh ideas, from doubling up tracks with world-class sample libraries to song structure advice to stylistic remixes, there are numerous ways I can help. Contact me to talk about what you need. 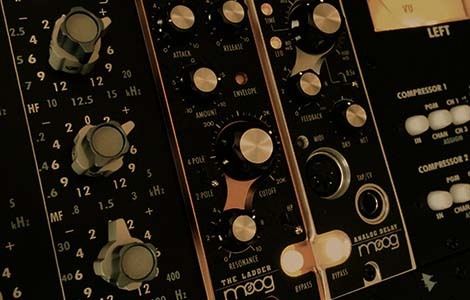 Mastering is a specialist activity requiring a very specific room, equipment and expertise. 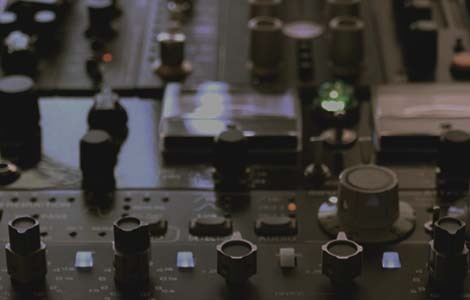 If your project is destined for CD or vinyl, then you should use the services of a dedicated mastering house (I can provide recommendations). However, if this is a digital only release, or you just want a great sounding finished song that competes on the loudness scale with commercial releases, then I can help you. See the FAQ for details. Probably less than you'd think. Every mix has different needs, so I'll provide a quote after I've got all the details, heard a sample of your work and know what I'm up against. As a guide, my cheapest mix to date has come in at $75 and the most expensive was $450. If you're bringing me 20 minute prog-rock epics with a full orchestra and hundreds of tracks then you're obviously going to be at the high end of the scale, but most mixes are in the middle. Do I have to pay you upfront? Actually, no. Here's how it works: you send me your tracks and I'll get started. Once I think I'm starting to get a good mix going, I'll send you an mp3 of some or all of the song. If you think I've nailed it, you can pay me (via PayPal) and I'll send you the completed mix. If you're not happy, tell me where I've gone wrong and I'll get back to work. What if you can't get it right? If we've gone back and forth a few times and you're still not hearing a sound you like, then it may be that we're just not on the same wavelength. That's fine, it happens. In that case, you pay nothing, We'll just shake hands and part company. I want it loud! Did you hear me?! Yes, but no - you don't want it loud. You want your mix to have plenty of headroom so that the mastering engineer can work with it. I'll probably apply a little compression to the mix to glue it together, but I'm not going to pump it up. That's the mastering engineer's job. So are you going to master it too then? Well, probably not. Quite honestly, I subscribe to the view that the person who masters your album should not be the person who mixed it (and certainly not the person who recorded it). But in these tough economic times, I realize that's not always going to be an option. So here's what I'll do: if you honestly have no intention of sending it to a professional mastering engineer and you just intend to master it yourself, I'll do it for you at the same time for a modest extra fee. I don't have a perfect setup for mastering, but I'll do a really good job, almost certainly better than you could do at home. Ideally though, you should send it elsewhere for mastering. I need all the raw tracks that make up your song. If you use Logic or Studio One, you can just send me the project. If not, you'll have to send me the bounced audio files. Please send me the raw files with no effects. No plugins, no frills. If there's a particular effect you know you want a track to have, tell me about it, or send a copy of the track with the effect applied, but make sure I have an unprocessed track to work with. And please don't normalize anything. Seriously, normalizing is the work of the devil. 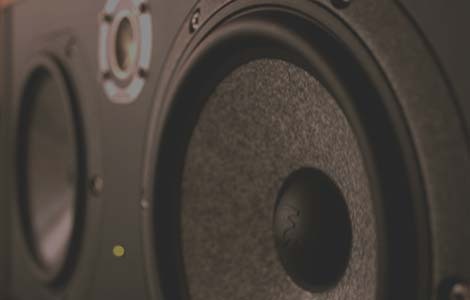 If you have a reasonable idea of what you want the song to sound like, include a rough mix. Don't assume it's going to be obvious - I might just spin off in a different direction and turn your nice RnB ballad into a basement grunge epic. If you really have no idea, or you're just bored with the song and want a fresh start, you can let me run with it. You'll get a 24-bit WAV file of your song, beautifully mixed with plenty of headroom left for the mastering engineer (if that's where it's going next). If you've talked me into mastering it for you too, you'll get a 16-bit WAV with no headroom, or a CD-R or DDP of your album if that's what you'd rather have. You'll also get a nice little summary doc explaining what I actually did to make your song sound the way it does. Depends where you are in the queue - I'll let you know how busy I am when you contact me. If you're at the front of the queue, you can usually expect your first mix back within a couple of days. I'm Miles Fender. I grew up in London and moved to California in 1998. I've been in lots of bands; I've written and recorded lots of songs, mixed lots of albums, collected lots of gear, and learned from a lot of mistakes. And I love what I do. Let me know what you need and I'll get back to you as soon as I can. If you need to send files, let me know in your message and I can set up a Dropbox folder for you. Alternatively, you can share your own Dropbox folder with me or use some other file transfer service.